If you’re looking for your first custom build exhibition stand, our portfolio page can seem a little daunting, as there’s a lot of big space, big budget stands there. 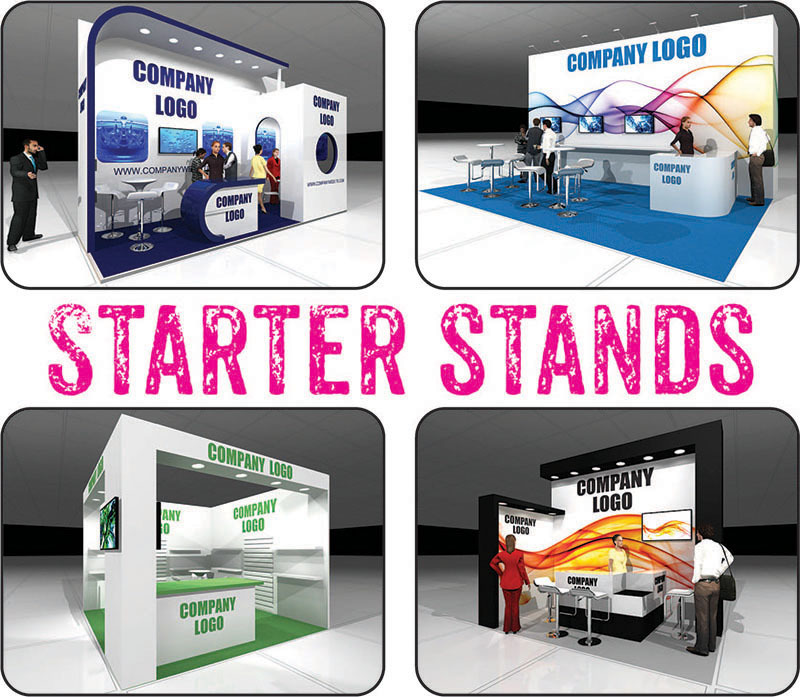 Shown here are a few typical ‘first space only stands’ based on real stands that real clients have had built. We’ve detailed what they include and what they cost to give the first time custom build client an idea of how far your budget will stretch. 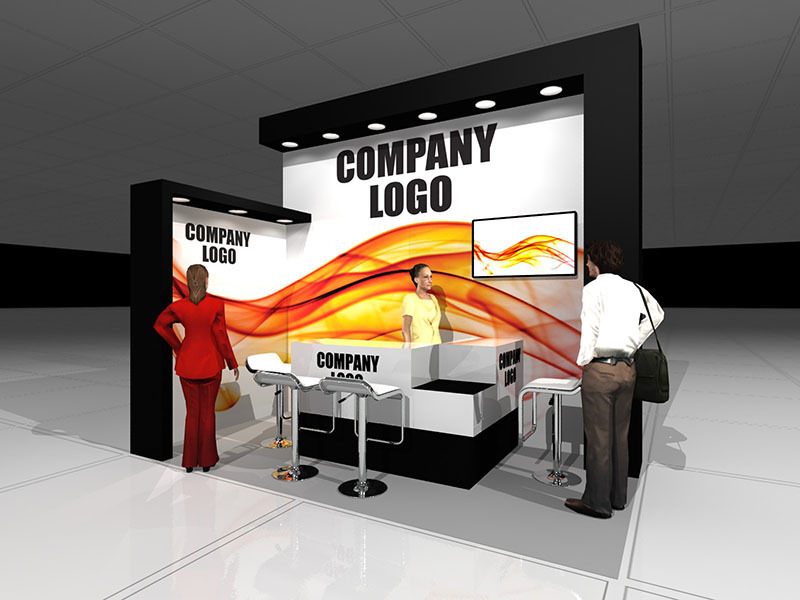 Each and every stand was designed to a client’s brief, so don’t worry if you don’t see exactly what you want. These are meant as examples to give you an idea of what you can get for your money. We can tweak a stand here to your colours and brand identity, mix and match several designs, or design something completely different from scratch. 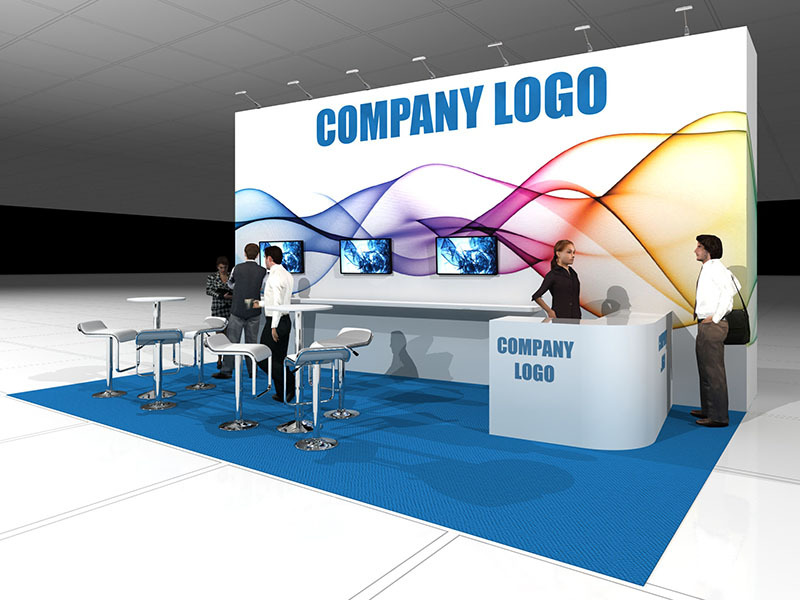 What you’ll end up with is a stand that’s unique to your company and reflects your company brand in the best possible way. 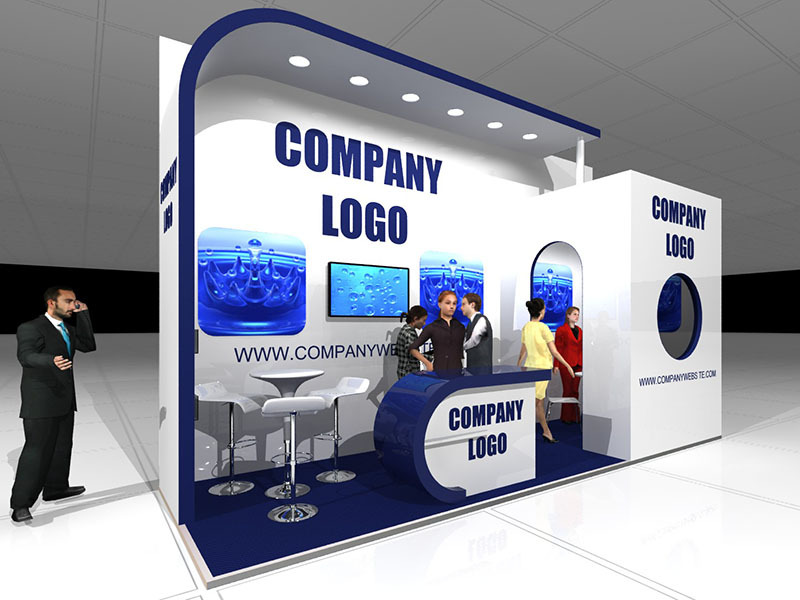 Take a look, and if you think a custom build stand might be right for your next show, give us a call on 02476 231 841. Full colour graphic wraps to both walls. L-shaped counter with storage & logo graphics. 1 x 42” full HD screen. Power for lighting & screen. As shown, at the NEC Birmingham: £4,986 + VAT. 4m high walls finished in gloss pvc. Curved canopy feature with integrated lighting. 6m x 2m Raised floor and carpet. As shown, at the NEC Birmingham: 7,160 + VAT. Full colour graphic wrap to outer walls. Floating keyboard shelf under monitors. 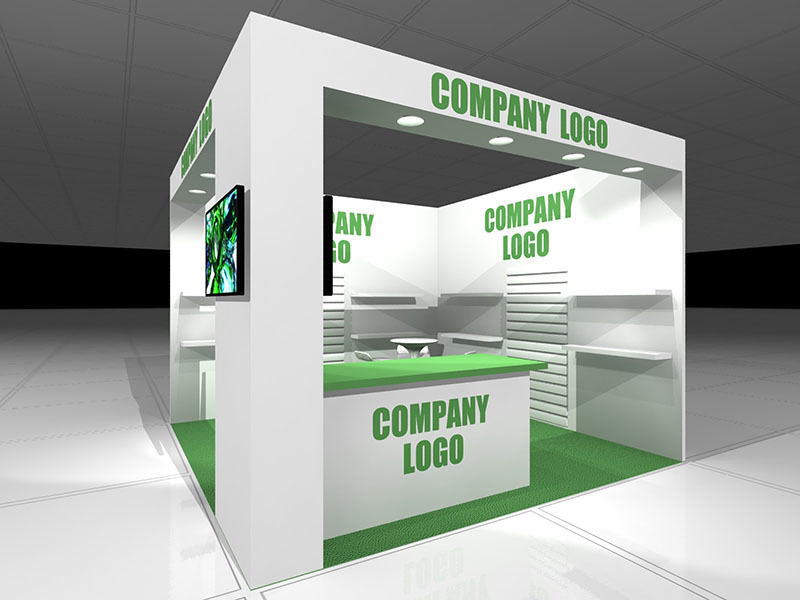 L-shaped reception counter with storage & logo graphics. LED lighting to top of walls. 7m x 5m velour carpet. Power for lighting & screens. As shown, at the NEC Birmingham: £6,795 + VAT. Corner pillar & fascias with lighting. 2 x 42” full HD screens. Logo graphics to walls & counter. 4m x 4m single colour cord carpet. As shown, at the NEC Birmingham: £5,578 + VAT. Ready to give the big boys a run for their money? Want to find out more and see a design customised to your company branding and brief?